HONOLULU – Gov. David Ige has nominated corporate executive and consultant Douglas Shinsato to the University of Hawai‘i Board of Regents, representing Hawai‘i County (East). Shinsato is co-founder of Anthill Ventures, a cross-border incubator and advisor to technology start-ups in India, Southeast Asia, Europe and the United States. Anthill focuses on tele-education, tele-health, sustainable food production, and cyber-security. Shinsato and his global partners focus on innovative digital technologies that aim to improve people’s lives. Shinsato is also a member of the Board of Directors of Creative Intelligence Associates, one of Japan’s top branding strategy firms. The consulting firm advises clients on how to leverage or transform their branding and messaging strategies to increase customer satisfaction, revenues and profits. Previously, Shinsato served as president for leading technology companies such as PTC Japan and as vice president-Asia Pacific for Autodesk. 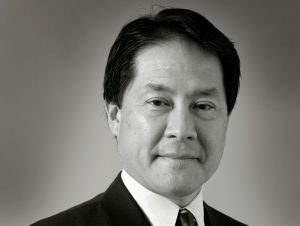 He was also senior partner at Deloitte Touche Tohmatsu. “I am honored to be appointed to the Board of Regents. I look forward to working with my fellow Regents on behalf of the UH and its extended community,” said Shinsato. Shinsato has a B.A. and MBA from the University of Southern California and a Juris Doctor degree from the Stanford Law School. He is married to Jennifer Lindsay-Shinsato. They have two adult children and one grandchild. If confirmed by the state Senate, Shinsato will complete the term of the late Barry Mizuno. The term expires on June 30, 2018.